A team of researchers at University College, Dublin, has found a link between caffeinated beverage consumption during pregnancy and low birthregularweight. In their paper published in the American Journal of Clinical Nutrition, the group describes their study of 941 mother and baby pairs born in Ireland and how they fared when the mothers consumed caffeine. In their study, the researchers looked at data associated with 941 mother/baby pairs and their caffeine consumption habits during pregnancy. 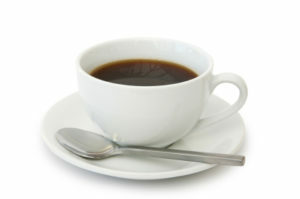 In so doing, they found a link between lower than normal birth weight and the amount of caffeine consumed. More specifically, they found that for each additional 100 mg of caffeine a woman drank per day during the first trimester, there was a reduction in birth weight by 2.5 ounces. They also found that those women who consumed the most caffeine had babies who were on average six ounces lighter than were babies born to women drinking the least amount of caffeine. Notably, the numbers contradict the so-called safe levels of caffeine consumption that have previously been reported. The researchers suggest that pregnant women reduce their intake of caffeine as much as possible during pregnancy. Previous article:Infections A Trigger For Heart Attack Or Stroke? Next article:Are Bacteria Living In Healthy Brains?